These quick Chicken Parmesan Cupcakes has all the flavors of Chicken Parmesan without all the work. I made these into individual serving by using a muffin pan. I wanted to be able to freeze the leftovers. These "cupcakes" come together in no time. The hardest part is cutting the dough into 12 squares. I used Tyson frozen popcorn chicken for this recipe. I tried to use the bigger pieces in the bag for each cupcake. If I had a small piece, I used two pieces. I wanted to make sure there was lots of chicken in each cup. There is no need to heat the chicken up first. Just pop it in the muffin cup frozen and it will bake along with the dough. Serve these for lunch or dinner. They would also make a good party snack. 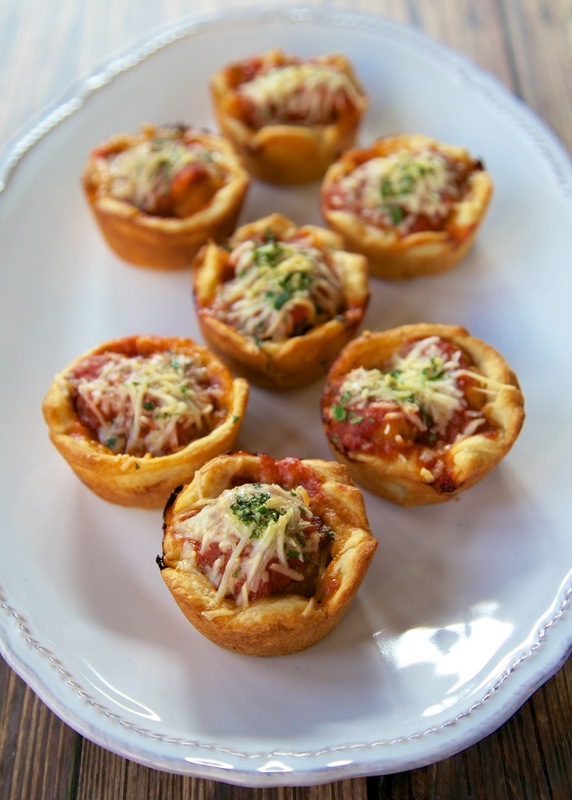 Place 1 tablespoon of mozzarella cheese in the bottom of each muffin cup. Place chicken pieces on top of cheese; top each piece of chicken with 2 tablespoons spaghetti sauce. Sprinkle with shredded Parmesan cheese. These sound SO good! I went to the grocery store earlier and got everything I needed to make them for dinner tonight. you could also use refrigerator bisquits and make a cup out of baking the bisquit on the OUTside of the muffin cup and make your larger, dinner-size cup! 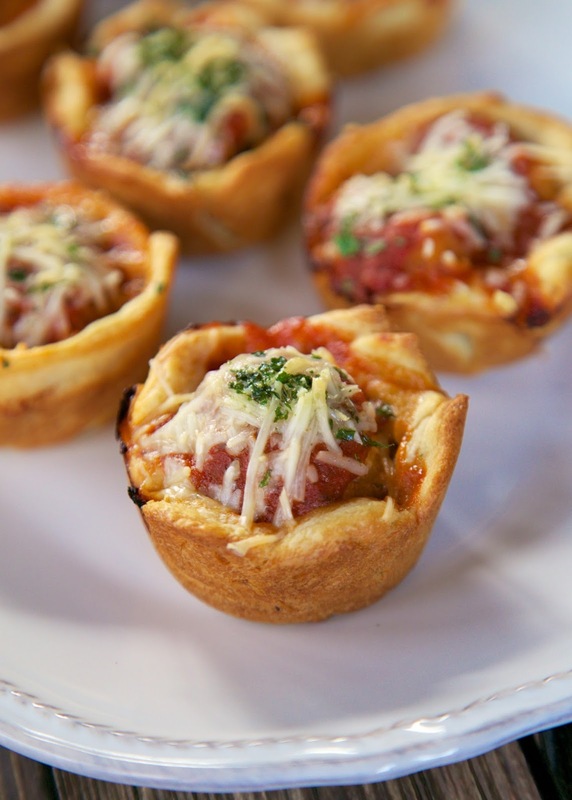 :-) I used to make Mexican meat cups this way, and my kids loved them! I love trying new chicken recipes! Thanks!